Is there a way to make the third person camera zoom out, when I don't have..
Is there a way to make the third person camera zoom out, when I don't have my weapons/spells out it's zoomed in too much since I started the way of the voice quest. Hi, I can't seem to find the key for the reeking cave in the "DIPLOMAT..
Where is the ebony claw for the stormcloak quest for the jagged crown? Hi, in skyrim I'm stuck trying on the quest shalidors insights, I'm in..
Can someone tell me where the Moonforge (Moon Forge) is? I've come across it 2 or 3 times but I can't find it again. I know you..
For the quest blood on the ice I have been in and out of windhelm abou..
Click down and hold the right thumbstick. Then use the left thumbstick to zoom in or zoom out. 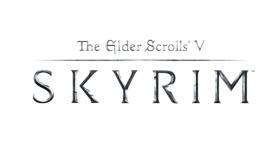 Search for more answers for The Elder Scrolls V: Skyrim or ask your own question here. How to get infinity gold? And how to..
What is the four pillar combination ..
How to fix a 'Reporting in' bug...?